The author is drbj and sherry (drbj) from South Florida who introduces herself as ,psychologist … Marketing VP… Training Director … Entrepreneur … Management Consultant … Executive Coach … Writer … Motivational Speaker. Billed by agent as only ‘older than dirt’ motivational speaker/stand-up humorist who can still stand up! Good news! I have invented a praiseworthy process for interviewing famous people who are no longer around . . . to defend themselves . . . or sue for libel. After my first interview with Genghis Khan, numerous readers (two) asked me to devote some time to other famous and infamous celebrities. This is my second interview in the series – with Napoleon Bonaparte. What is this new process you ask? I cannot divulge the intricacies of the entire procedure but it involves a crystal ball, unintelligible incantations, and the forelegs of three newts. There’s no newts like good newts. This method allows me to zero in on a specific non-living person and ask prying, pointed, personal questions. So, without further ado (my dictionary defines ‘ado’ as ‘bustling excitement’), here is my most recent interview with Emperor Napoleon Bonaparte. me – Comment voulez-vous faire, M. Bonaparte. Je suis ravi de vous rencontrer. Vous êtes à la recherche très bien . . . compte tenu. Me – Puis-je vous appeler Napoléon? M. Bonaparte – Bien sûr, en fait, pourquoi ne pas m’appeler LC pour faire court. Oops! For your ease in reading, our conversation will be translated from French to English. 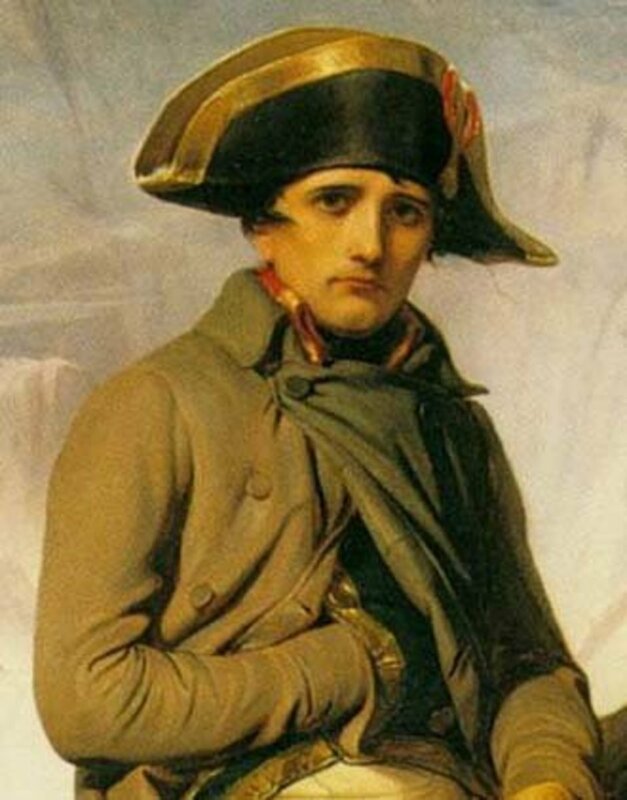 me – How do you do, Mr. Bonaparte. I am delighted to meet you. You are looking very well . . . considering. (That’s a reference to his death which took place 189 years ago). M. Bonaparte – Thank you. me – May I call you Napoleon? M. Bonaparte – If you like but why not call me LC (Little Corporal) for short? Get it? Little – short? me – Very funny, LC. Tell me, why were you called the “Little Corporal”? LC – It wasn’t because of my stature as most people think. You can see I am practically five foot five – with my boots on – that was the average height of a Frenchman in those days. I received the nickname, “le Petit Caporal” (the Little Corporal) in 1796 at the battle of Lodi near Milan, Italy. As a general, I shocked my men by running over to a cannon and personally aiming it at the enemy. This was a very risky procedure and it was usually performed by an enlisted man, a corporal. It was definitely not something a general (in his right mind) would do. Corsica is located at bottom right corner of map. I always hated this painting. My beautiful white horse looks strong and fearless, but I look like some sort of sissy leader with a bare leg. I am wearing white breeches but my leg looks naked. me – Tell me, when and where were you born? LC – On August 14, 1769 in the town of Ajaccio on the beautiful island of Corsica located in the Mediterranean. The year before I was born, France bought Corsica from the Italian city-state of Genoa. My father, Carlo Buonaparte, and my mother, Letizia Ramolino Buonaparte, both belonged to noble Italian families. My father, a prominent attorney, was a leader of the pro-French party in Corsica and was named Corsica’s representative to the court of Louis XVI of France in 1777.
me – Were you an only child? LC – Oh, no, I was the second son of eight children. I had an older brother, Joseph, and younger siblings: Lucien, Elisa, Louis, Pauline, Caroline and Jerome. I was christened Napoleone di Buonaparte and used this name until my twenties when I adopted the more French-sounding Napoleon Bonaparte. me – Did you want to be a soldier when you were a young boy? LC – Either a soldier or a cowboy so I could ride a white horse. I wanted to own a white horse just like the Long Ranger. When I was nine years old, my father sent me to a military academy in Brienne, France. I learned to speak French but never lost my marked Corsican accent. The students there teased me and called me the Corsican. me – What was your favorite subject in school? LC – I was very good in math but average in history and geography. I was lousy in spelling – one of the reasons I changed my name. My teachers said I would make an excellent sailor. But then I was admitted to the elite Ecole Militaire (Military School) where I trained to become an artillery officer. I completed a two-year course in one year and was the first Corsican to graduate there. When I was only 16, I received a commission in the French army as a second lieutenant of artillery. Six years later I was promoted to first lieutenant and to captain one year later. me – Congratulations. There is something I have always wanted to ask you. Why do so many paintings and statues of you show you with your hand inside your waistcoat? LC – I could have been testing my heartbeat. LC – No, I was actually checking out the size of my love handles. LC – Gotcha! I posed that way because, as a leader, you have to do something with your hands and that was the style. 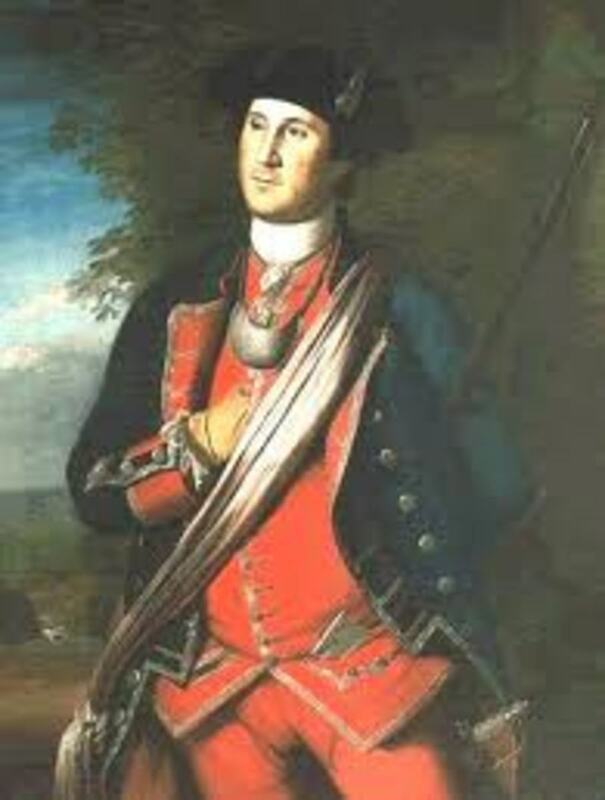 Look at George Washington. How is he posed? 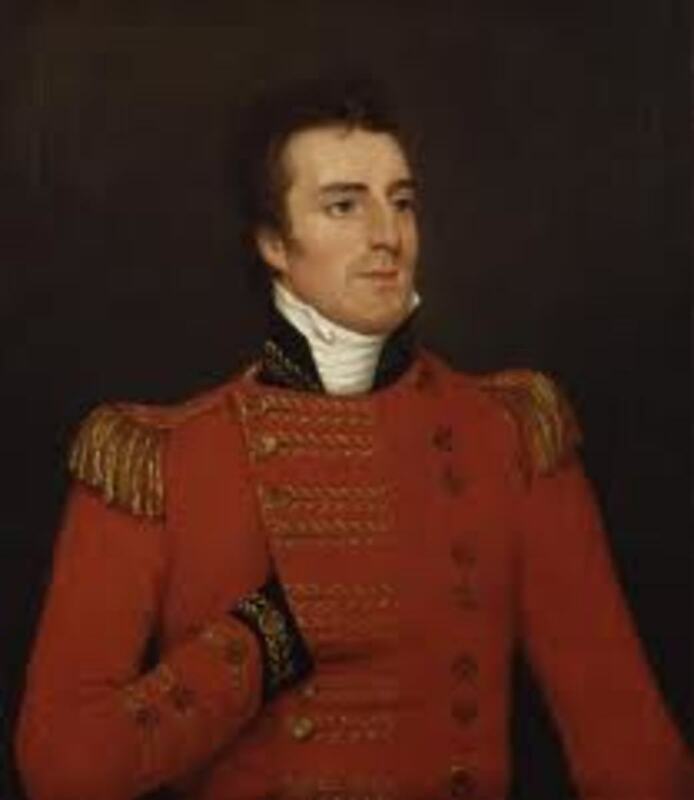 Look at the first Duke of Wellington. How is he posed? I rest my case. Me – I know you were promoted to brigadier general in 1793 when you were only 24. That’s very young to become a general. How did that come about? LC – I had unlimited energy and ambition and learned how to take advantage of opportunities – much like Oprah Winfrey. And my timing was right. 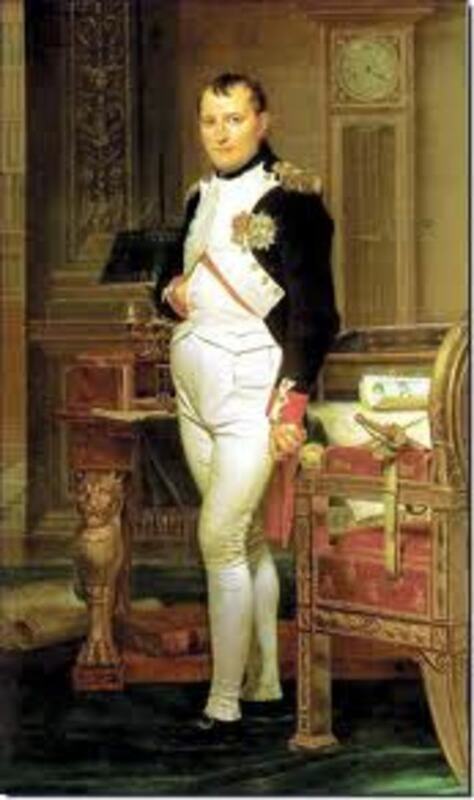 The French Revolution was well underway when I was placed in command of artillery during the Siege of Toulon. The city had risen against the republican government and was occupied by British troops. I planned a strategy to capture a hill that would allow our artillery to dominate the harbor and force the British ships to leave. We succeeded. I received a wound in my thigh during the battle, but also received a Purple Heart. And a promotion to brigadier general in 1793. My next big battle took place in 1795 in Paris when angry mobs of royalists attacked the Tuileries, the royal palace. I defended the palace with my men by using point-blank cannon fire which quickly cleared the streets. The People’s Liberation Army of China used my technique at Tiananmen Square. I was hailed as a hero and promoted to major general. The new government was called the Directory. me – I learned you won more than 40 major battles over the course of your career and were never defeated in a field battle without being heavily outnumbered. What did you consider your greatest achievement? LC – My marriage to Josephine in 1796. She was a French woman from Martinique in the West Indies. 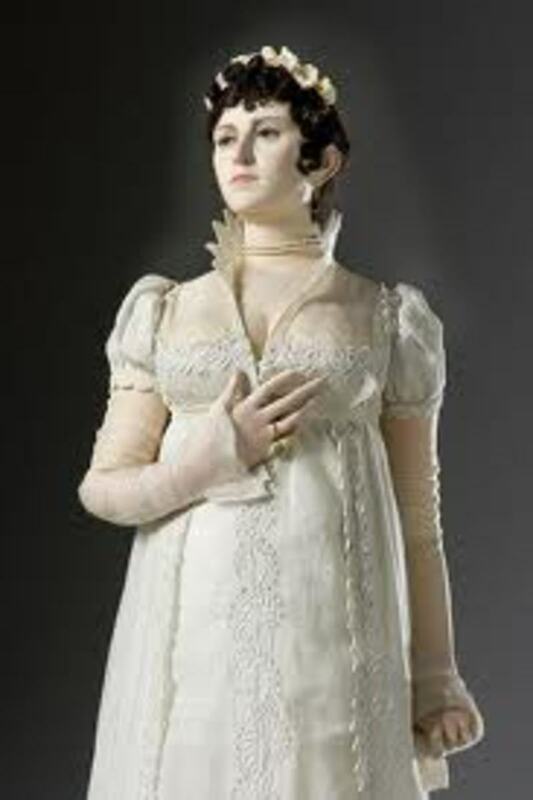 Her first husband, Vicomte Alexandre de Beauharnais died by the guillotine during the Reign of Terror. She was a leader of French society when we met as well as the mistress of one of my generals. Although she was six years older and already had two children, I fell in love. I have always had a weakness for older women. Like Aston Kutcher. 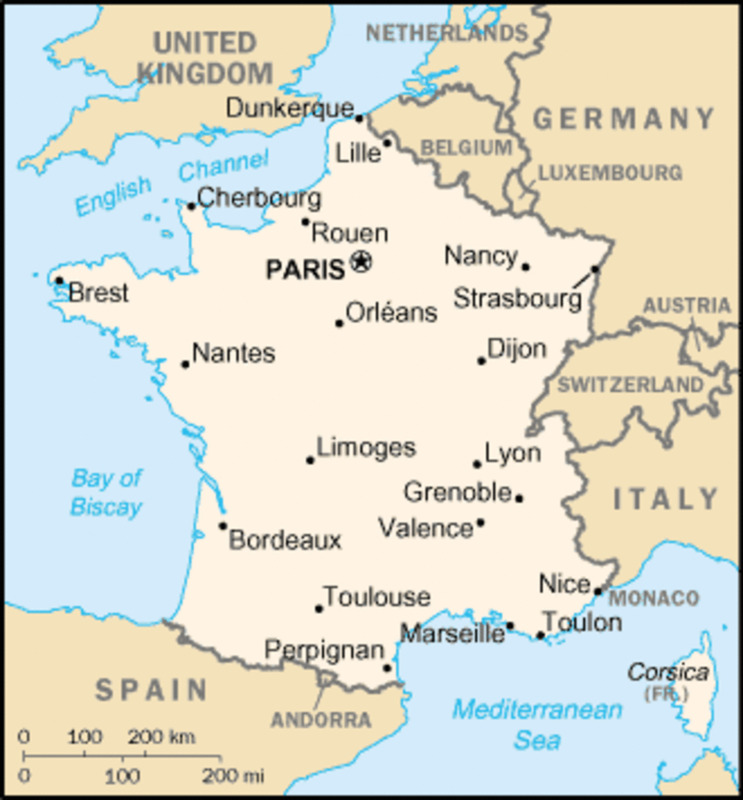 LC – During the 90s (1790s), France was at war with much of Europe. Austria had become our chief enemy. A few days after our honeymoon, I took command of a French army on the Italian-French border. It was an ill-equipped force of less than 40,000 soldiers. The Directory (our government) expected I would tie up Austrian forces in Italy while the larger French army won the war by attacking Vienna, the capital of Austria. Do you know what happened? Merde de sainte! (Holy s**t), I won the war defeating four armies, each larger than my own in less than a year. Austria signed a treaty which enlarged France’s territory and I returned to Paris, hailed again as a hero. Examine the photo carefully – my hand is on my chest under those magnificent imperial robes. me – Did you have a favorite military strategy? LC – Of course, I had developed a very successful military strategy that formed the basis of my future campaigns. At the beginning of a battle, I would hold back as large a reserve as possible. Then I would find the weakest point in the enemy’s lines and throw all our strength against that point at the right moment. I seemed to know somehow the precise moment to attack. Just like my friend, Genghis. me – What else were you proudest of? LC – During the next ten years. 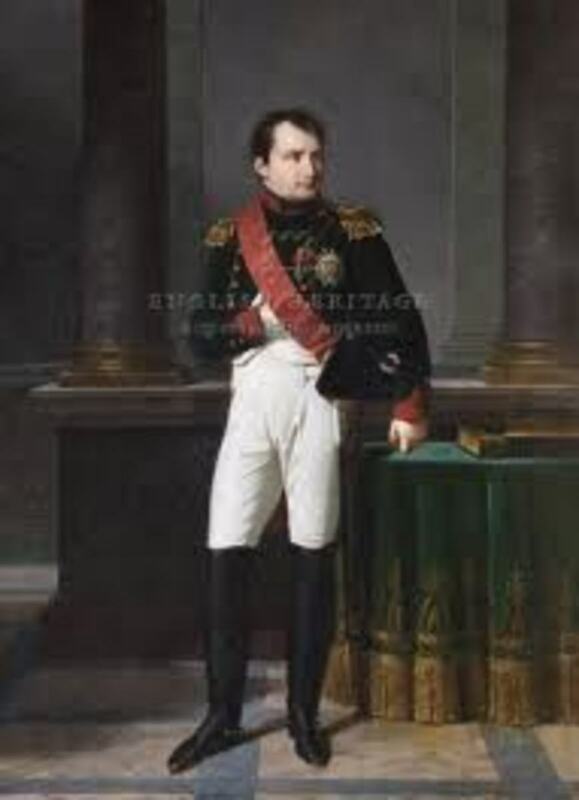 i led the French empire in a series of battles, the Napoleonic Wars, that involved every major European power. France became dominant in continental Europe and I formed extensive alliances with other countries and appointed friends and family members to rule these countries as French sattelite states. Do you remember my seven siblings? I didn’t forget them. My brother, Joseph? I made him the king of Naples. He was not very effective in administering his duties so two years later, I made him the king of Spain instead. Lucien was the black sheep to me. He was critical of my policies and married a commoner against my wishes. But we did reconcile later in Elba. Elisa was very intelligent and competent so I made her princess of Piombino and Lucca and grand duchess of Tuscany. Louis was made king of Holland for four years but I forced him to abdicate because he was more concerned for the interests of the Dutch people than for those of France. Pauline was my favorite sister and I made her princess of Guastalla. At the end, she showed herself to be more loyal than any of my other siblings. Caroline became queen of Naples through the efforts of her husband, General Murat. But she conspired against me hoping her son would succeed me and later fled to Austria. Jerome became king of Westphalia where he is remembered for his extravagant irresponsibility, not his administrative or military skills..
me – Tell me about the part you played in producing the Napoleonic Code. LC – I supervised the revision and collection of French law into seven codes which incorporated many of the freedoms gained by the people during the French revolution, including religious freedom and the abolition of serfdom. 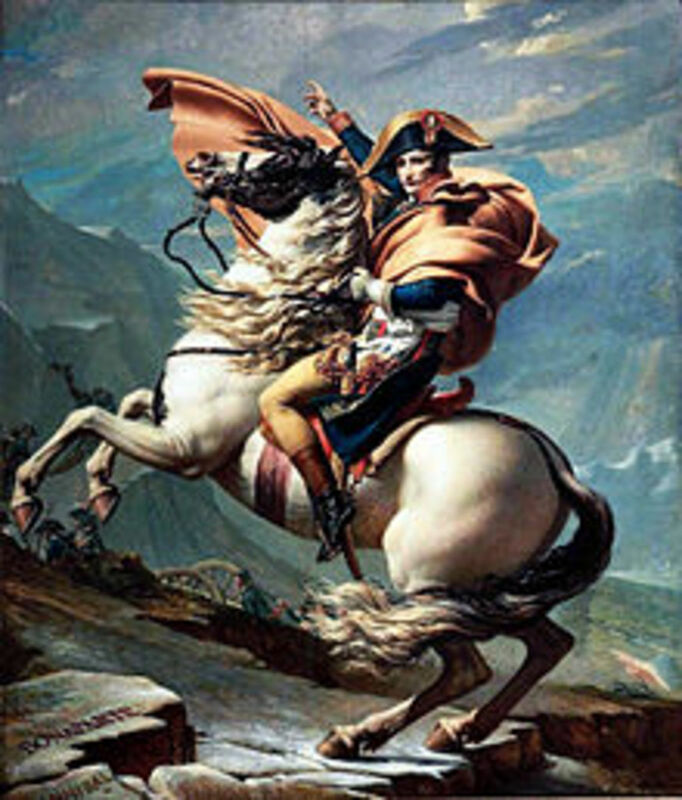 The most famous code, the Code Napoleon or Code Civil, still forms the basis of French civil law. I also centralized France’s government by appointing prefects to administer regions called departments, into which France was divided. me – Why did you divorce Josephine? LC – I divorced Josephine in 1810 despite her popularity as the empress because I needed an heir. 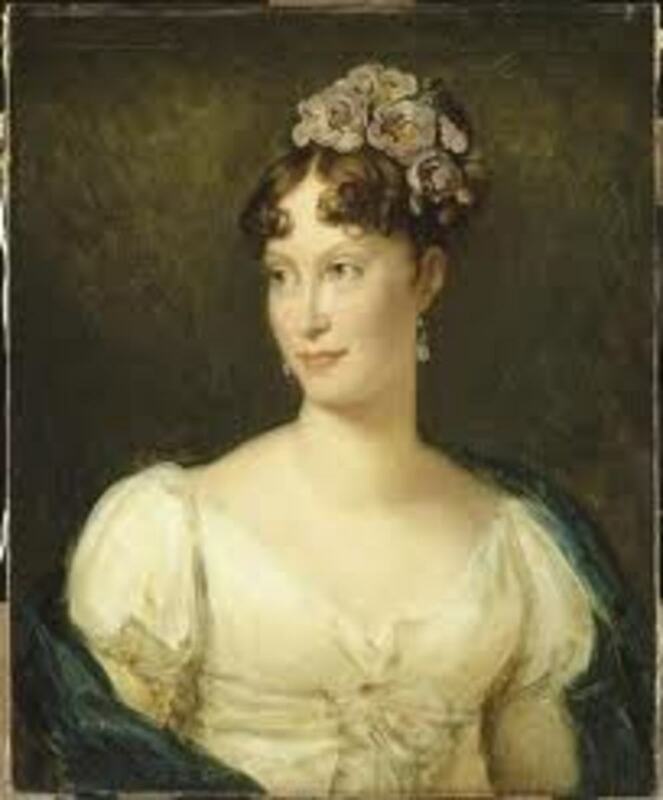 I then married Marie-Louise, Archduchess of Austria. 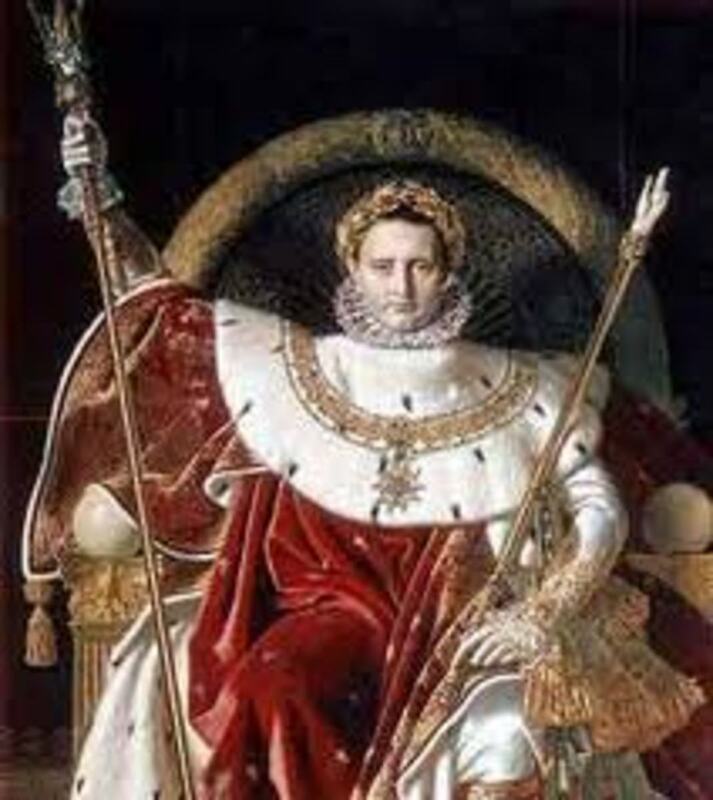 “I married a womb.” We had one child, my son, Napoleon Francis Joseph Charles known as the king of Rome. He became Napoleon II but died of tuberculosis at the age of 21, with no children. I also produced several illegitimate children but they and my many affairs and mistresses would take too much space to describe. Can be Happening i am a new comer to this, I stumbled after this I’ve found This positively useful and it has aided me away loads. I am hoping to chip in & help other users like its allowed myself to. Great job. Witness the ideas that shape, alter and reaffirm cultures at TEDxShivNadarUniversity.